The cooling system consists of a cooling fan, water pump, thermostat, radiator, heater core, heater valve, and various other parts that primarily work together to dissipate and remove heat from a vehicle’s engine. Your vehicle’s cooling system is responsible for reducing the temperature inside your engine and preventing possible overheating. 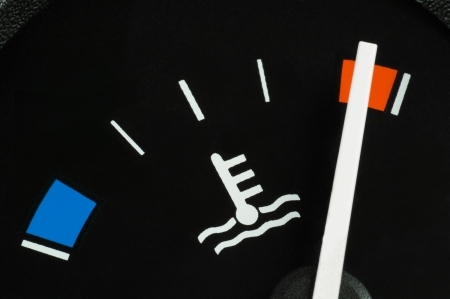 Excess heat can build in a variety of places in your vehicle’s engine. When the engine reaches maximum operating temperatures, the thermostat opens and releases antifreeze from the engine to the radiator, which initiates the circulatory flow to absorb excess heat. The antifreeze is also responsible for keeping other engine fluids from boiling or freezing. After the antifreeze flows through the engine, it cycles back to the radiator, where the excess heat escapes through the radiator’s walls. The antifreeze is cooled by the cooling fan and readied to be re-released into the engine to dissipate additional heat.